I have a bad habit of drive by shootings. Often when I drive between home and Allentown, I go down some roads with great scenic views. I'm usually either in a hurry or just unable to find a place to pull over. So every once in a while I resort to drive bys. I never know what I'm actually getting until I empty the camera onto the computer. 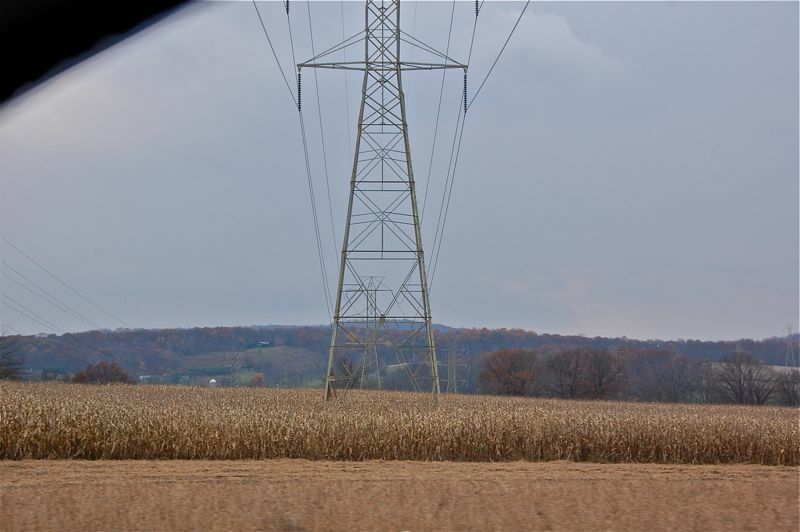 I sort of liked the power towers standing in the corn on this one, like sentinels guarding the fields.